Sardines are a common name which refers to a small sized oily fish within the herring family. The term was first coined in 15 century and came into market, when large number of sardines was found. They are also known as pilchards, who feed on the microscopic animal called as plankton, which is present in the water. Sardines are abundant in the seas of the Atlantic, Pacific and Mediterranean with Spain, Portugal, France, and Norway being the leading producers of canned sardines. Being feeded on planktons, sardines are the type of fish which do not contain high level of mercury, metals and such more contamination like other fishes do. There are 20 types of sardines sold around the world and all they look similar. They are small in size, little oily and are soft boned. The chief use of sardines is it has several health benefits which make it healthy for human consumption. Sardines are also feed to pets which maintain the nutritional value in them. Oil extracted from Sardines is also used in various purposes like making of oil paints, varnish and linoleum. Today, we brought a list stating the health benefits of Sardines. How to Choose and Store Sardines the Right Way? Omega 3 fatty acids such as EPA is present in sardines which helps to cut down the cholesterol in the body and plays a major role in controlling extra fats too. Sardines are rich in omega-3 fatty acids helpful in preventing heart diseases. The omega-3 fatty acids found in sardines play a major role in controlling heart diseases. Due to extra cholesterol in the body, sometimes there are chances of arteries plague or blockage. Omega 3 and 6 fatty acids are highly active in cutting down the extra cholesterol thus preventing arteries from blockage. Blood clots in the artery system can be dangerous for the cardiovascular system. Regular intake of omega-3 fats, which are found in fish like sardines, is good for the heart because it helps in reducing cholesterol and blood pressure, thereby preventing strokes and atherosclerosis. The essential fatty acids and nutrients found in sardines fish help to control the blood pressure in the body. 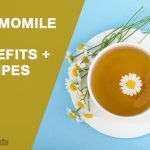 It has proved well in treating high blood pressure. As sardines helps to prevent insulin production in the body, it ultimately benefits us with controlling of diabetes. Diabetes is the primary disease which leads to many more diseases. Age related macular degeneration (AMD) is a condition which is usually seen among people age 50 or more Macular and retinal degeneration over the years results in loss of vision. Recent studies have shown that taking fish, particularly fish like sardines, resulted in a reduced risk of developing AMD. 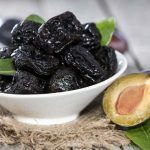 Cancer research has shown that the intake of calcium and vitamin D can be very helpful in preventing certain types of cancers; Sardines are one of the rich sources of calcium and vitamin D.
Sardines are good source of calcium, and intake of calcium is important for the health of the bone. A good amount of calcium, glued with exercise can strengthen bones and prevent diseases, such as osteoporosis, in the future. Consuming sardines can help in building up the immune system. Research suggests that sardine fish oil may improve immune system by increasing the count of immune cells. The essential fats found in sardines play a vital role at the cellular level in skin cells. It makes the skin grow beautiful and healthy. Yes, they can be termed as energy boosts too. Eating up sardines with a cup of milk or some bread in breakfast can help you to boost the immunity and energy in the body. According to various studies, eating sardines helps to decree skin inflammation and also allergies over them. This is because of the product being packed with fats and nutrients. Insulin resistance is one of the major factors to look for in diabetes. In cases where there is insulin resistance, the insulin produced in the body is utilized less efficiently. Some studies have shown that insulin resistance can be reduced by consuming sardines. The proteins found in sardines are helpful in keeping a proper check on insulin. Selenium is found in Sardines, which is helps in neutralizing the free radicals and guards the organs of the body. 70% Brain is made out of fat, which is the only reason it stop functioning faster a particular period of time. Eating Sardines have proved the increase the working of brain. The hormonal misbalance in the body leads to various type of stress and depression. Sardines are rich in omega 3 and omega 6 fatty acids which help to keep them on proper balance and also help to treat depression. Sardines oil has a high content of natural oil in them, which helps to fight against the dry skin. Consuming Sardines can help to produce natural oil on skin, which also keeps it moisturised. Alzheimer’s disease is an acute skin disease which leads to over dryness, itching, and inflammation on skin. Sardines help to convert the food to energy and repair the damaged health. Sore throats may range from a mild situation to a major condition. Eating sardines with a hot cup of milk can help to calm down the uneasiness on the throat and also brings down the swelling. Vitamin B3 found in sardines is very important in improving digestion and induce proper metabolism in the body. A better digestion is a key to live the life happily. One of the important sources of vitamin b12 is sardines. It helps in improving nervous system as vitamin B12 helps in better syntheses of cells. For many years, studies have shown that vitamin D, in the form of calcitriol, participates in the regulation of cell activity. Because cells play a key role in the development of cancer which may turn out to play an important role in the prevention of various types of cancer too. Sardines are rich in protein, which provides us with amino acids. 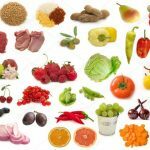 Amino acid is used by the body to create new protein and maintain the body cells and structures. It also provides antibodies to keep the immune system string. 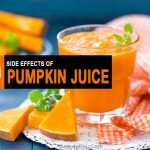 It also forms the basis of connective tissues and muscles. Sardines are packed with proteins and proteinsare very important in supplying energy to the body.It prevents blood from clotting and also triggers its circulation throughout the body. Being enriched with essential nutrients, minerals and fatty acids it helps to balance the hormonal misbalance in the body. As a result, the body calm down and induces better and deep sleep. For people who are trying to lose for weight but are not successful due to various reasons, here you got to be! Sardines are healthy foods which help to lose the weight. Being enriched with nutrients and packed with vitamins, sardines helps to keep your stomach filled for longer period of time. Sardines with some milk can serve as a best meal. 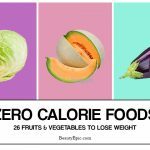 Wight loss seems to be easy and simple as compared to Weight gaining. Sardines with some high dose of carbohydrate twice a day can help a person to gain some pounds of weight in just a month. This is the very important quality, where sardines help to control the urge of hunger in a person body. As mentioned above, it helps to keep your stomach filled for a longer period of time. The fatty acids in sardines help to treat burns on the skin. It helps to regenerate new cell and repairs it with the damaged cell. The nutrients and minerals found in it, makes the process faster. Sardines are mostly caught from salted water, which makes them filled with natural salt too. Salt in the human body is very important to carry out different functions. Consuming sardines also helps in maintaining the level of salt in the body. 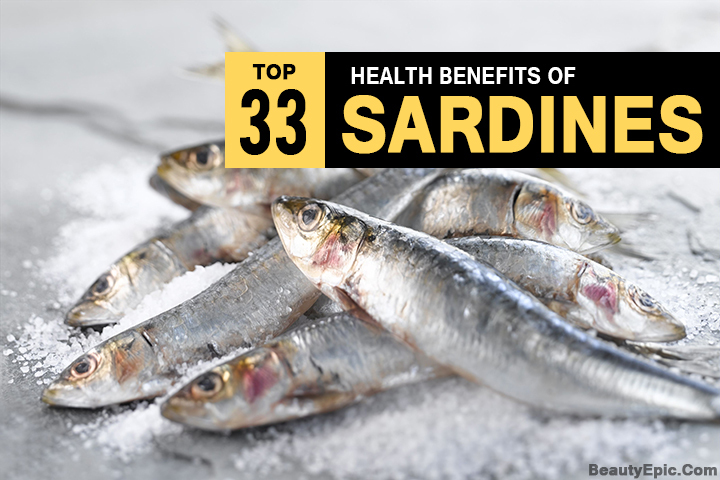 These were the various benefits of consuming sardines every day. Over eating to lead to skin infections, trigger heart diseases, starts clotting blood and also leads to hyper tension. On serving 5 oz of sardines, your body will be packed with the below mentioned nutrients. The amount of omega acid found in sardines is actually equal to pills which we eat to treat various diseases. This proves, consuming sardines is beneficial for health and it promises you to give healthy and energetic life. Mentioned below is the percentage of nutrients found in one small sardine. Canned sardines packed in olive oil are preferable to those in soybean oil. Those concerned about their intake of fat may want to choose sardines packed in water. Look at the expiration date on the package to ensure that they are still fresh. If you are purchasing fresh sardines, look for ones that smell fresh, are firm to the touch, and have bright eyes and shiny skin. Pacific sardines are featured on the Super Green List of the Monterey Bay Aquarium’s Seafood Watch. The Super Green List is considered “the Best of the Best” in seafood; to receive this designation a fish or shellfish needed to be among their “Best Choices” for sustainability, provide at least 250 mg of omega-3s in an 8-ounce serving, and contain low levels of mercury (less than 216 ppb) and PCBs (less than 11 ppb). Canned sardines can be stored in the kitchen cupboard, ideally one that is cool and not exposed to excessive heat. They have a long storage life; check the package for the expiration date so you know when you should use it by. Turn the can every now and then to ensure that all parts of the sardines are exposed to the oil or liquid in which they are packed; this will help keep them well-moistened. Unused portions of opened sardine can should be refrigerated. Fresh sardines are very perishable and normal refrigerator temperatures of 36-40F (2-4C) do not inhibit the enzymatic activity that causes them to spoil; they are best when stored at 28-32F (-2-0C). To store the fresh sardines, remove them from the store packaging, rinse them and place them in a plastic storage bag as soon as you bring them home from the market. Place in a large bowl and cover with ice cubes or ice packs to reduce the temperature of the fish. Remember to drain off the melted water and replenish the ice as necessary. Although fresh sardines will keep for a few days using this method, we recommend using the sardines as soon as possible, within a day or two. Don’t forget that fish not only starts to smell but will dry out or become slimy if not stored correctly. 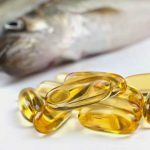 How Fish Oil Control Hair Loss? The chief use of sardines is it has several benefits which make it healthy for human consumption. Today, we brought a list some health benefits of Sardines.